I caught this article in Rolling Stone about the looming threat of climate change and what can be done about it. As you might expect from a magazine that usually covers music, it is short on science and reason and long on alarmism. There are only a few points here and there in the article I want to mention, so I am not going over the whole thing. Feel free to follow the link if you want. After 25 years of failed climate negotiations, it’s easy to be cynical about the upcoming talks in Paris. But there are at least three factors that make a meaningful agreement next year possible. If I look out my window, I would see two relatively mild summers in a row with a brutally cold winter between them. Ought I to conclude that the planet is getting cooler? Of course not. Looking out my window tells me nothing about the state of my local climate, much less the climate of the whole world. Looking at the weather for the past year or two also doesn’t tell us very much. In any case, we have not, in fact, been having more floods, droughts, more destructive storms, or weird weather over the whole world for the last decade. I want you to look at this graph from the Paleomap Project. It shows how the Earth’s temperature has varied over time. The Earth’s average temperature is presently around 17° Celsius or 61° Fahrenheit. Notice that the Earth has warmed, and cooled, quite a bit more than the four degrees that is supposed to be catastrophic. Contrary to what the global warming alarmists seem to believe, the Earth has not existed at a delicate equilibrium temperature for millions of years only to be disrupted by man. The Earth is a dynamic system, which is why it is so difficult to figure out what is actually going on and to what extent human beings are responsible. Well, yes. No previous president has been as willing to disrupt the American economy as much as President Obama has. Don’t look for many other world leaders to be as foolish as he is, however. China’s leaders are also waking up to the fact that recent decades of hypergrowth, most of it fired by coal, have exacted a steep price. Air pollution in China’s big cities is among the worst in the world; one recent report found that poor air quality contributed to 1.2 million premature deaths in 2010. As Hank Paulson, former Secretary of the Treasury and longtime China observer, has put it, “What is another point of GDP worth, if dirty air is killing people?” Earlier this year, a riot broke out in Zhongtai, a town in eastern China, when protests against a new waste incinerator turned violent, leaving police vehicles torched and at least 39 people injured; in southern China, protests erupted over the construction of a coal-fired power plant. Similar clashes are increasingly frequent in China as pollution-related illnesses rise. And it’s not just the air that’s a problem in China. More than 20 percent of the country’s farmland is polluted. Sixty percent of its groundwater supply is unfit for human consumption. Rivers are industrial sewers. Last year, 16,000 swollen and rotting dead pigs were found dumped in the Huangpu River near Shanghai. The Chinese are not going to stop using coal. They may invest in alternative sources of energy to supplement their fossil fuel but they are not going to let their economic growth slow down just to appease Barack Obama and John Kerry. The Chinese do have an awful lot of work to do towards cleaning up their environment and actual anti-pollution laws that are actually enforced would go a long way towards improving the quality of life in China. China cannot afford to be distracted by global warming alarmism. In Paris, they will try again. The delivery vehicle of choice is called the Green Climate Fund, which was one of the few concrete accomplishments to come out of Copenhagen. The idea is simple: Rich countries pay into the fund, the fund’s 24-member board examines proposals from developing countries for clean-energy and climate-adaptation projects, and then it awards funds to those it finds worthy. Here we get to the real motive behind all this, money. This is not really about climate change or the future of life on Earth. This is about “environmental justice”. Like every other time that the noun justice is modified, environmental justice has little to do which justice and more to do with a left wing agenda, in this case the transfer of money from rich nations to poor nations. This post is getting to be too long but there is only one more paragraph to highlight. A few hours later, Kerry and his team jet off to Afghanistan. The world is a big, complicated place, and everyone – even the most committed climate warriors like Kerry – has a lot of other things to think about beyond how much carbon we are dumping into the atmosphere. And that, in a way, is always the problem: There is always something more urgent, more immediately catastrophic to seize the attention of policymakers – and in the coming years, many of the crises that will distract us from dealing with the realities of climate change will largely have been caused by climate change. Through all these short-term emergencies, the Earth will keep warming, the droughts will get worse, food will grow scarce, ice will vanish, the seas will rise, and starting around 2030, climate change will emerge from the background and eventually become the only thing we talk about. It will be the story of the century. We’ll see what actually happens in 2030. My guess is that we are going to be told that there is some catastrophe looming around the corner and if we don’t take immediate action, the Earth will be uninhabitable by the year 2050. I also predict that the immediate action will consist of more government control over our lives and a willingness to accept a lower standard of living. Their rhetoric hasn’t changed in the last forty years and it won’t change in the next forty years, regardless of actual events. UN says carbon levels at record high (nzherald.co.nz) Keep in mind that the records only cover an infinitesimal portion of the Earth’s history. Black church leaders rev up for climate justice (grist.org) There’s that modified justice again. In her article in the National Journal, Lucia Graves is thankful that Barack Obama has taken “dictatorial” action with the new regulations restriction carbon dioxide emissions from power plants, and in so doing has managed to solve the greatest problem in political theory. In college classes, climate change is taught as a textbook example of where democracy fails. And there are a whole host of reasons to think America will fail on climate change: We’ve waited too long; the consequences aren’t as tangible as in other areas of policy; we’re bad at sacrificing in the short term to achieve in the long term. Limbaugh is onto something, but he has it precisely backward: The decision to use executive authority is the means, not the ends. It also makes a lot of sense when it comes to global warming given Congress’s failure to pass the Waxman-Markey energy bill in 2009, and, for decades before that, to pass any sort of comprehensive climate legislation whatsoever. Considering that a fairly large number of Americans do not place global warming high on the list of problems they want solved, it seems that democracy in America is working just fine, on this issue. Congress has not acted because there has not been much public pressure to act. What Lucia Graves really means, of course, is that democracy has failed on this issue because the public has the wrong opinion on this issue, so the problem cannot be resolved democratically. A little but of dictatorship is in order. If a little bit of dictatorship is necessary to deal with climate change, why not with other issues? There must be quite a few problems facing this country that are difficult to resolve democratically. Consider the federal deficit. Almost everyone agrees that the federal budget ought to be balanced, yet the government continues to run a deficit every year. Most people want the government to cut spending, except for the government spending they happen to be in favor of. So, spending increases. I wonder if Lucia Graves would approve of a president who decided that since Congress cannot act to balance the budget, he will make out the budget himself without consulting with Congress. For that matter, I wonder if she would approve if President Obama’s successor simply reversed the emissions regulations with a stroke of his pen. Progressives have been impatient with the whole concept of checks and balances at least since the presidency of Woodrow Wilson, if not before. In this view, checks and balances, rather than being a safeguard against tyranny, just get in the way of the wise and benevolent Tribunes of the People from doing good for everyone. If it so happens that the people don’t really know what is good for them, all the more reason for them to be ruled by those who know better. Unfortunately, people who wield power are seldom wise and benevolent and are usually most interested in what is good for themselves, which is why the framers of the constitution put in so many checks and balances. I wish that the people who write admiringly of President Obama’s “dictatorial” actions would think about what a president they thoroughly disapprove of could do if allowed to act as a dictator. Perhaps they would be less thankful of the example he is setting. Nick Cohen at the Guardian is upset because the British and American governments have somehow opted not to destroy their economies and permanently reduce their citizen’s standards of living on the basis of not-so-settled science. I found his column via The Right Scoop. I wouldn’t bother mentioning the column except he takes the slander “climate change denier” and doubles down on it. I have long stated that the use of this phrase is dishonest and a sign that the other side has no real facts. Cohen, obviously thinks otherwise. 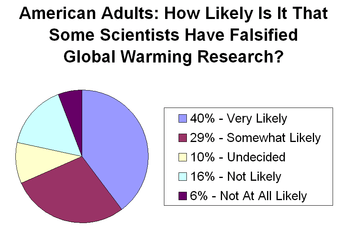 All of which is a long way of saying that the global warming deniers have won. And please, can I have no emails from bed-wetting kidults blubbing that you can’t call us “global warming deniers ” because “denier” makes us sound like “Holocaust deniers”, and that means you are comparing us to Nazis? The evidence for man-made global warming is as final as the evidence of Auschwitz. No other word will do. Very well. If that is how they want to play, I’ll give it right back at them. Henceforth, anyone who asserts that manmade global warming is a problem that requires catastrophic changes to the world’s economy will be known as a Global Warming Nazi. I think the phase is entirely appropriate since the Global Warming Nazis advocate policies that will end up killing millions of people all over the world, most of them dark-skinned, and consign millions more, mostly dark-skinned, to hunger and poverty with no hope of bettering their lives. No other word will do. Walter Russel Mead wrote about the rising rate of climate change skepticism in a recent post at the American Interest. Mead is something of a moderate environmentalist in that while he agrees with the environmentalists on many points, he is also aware that the Green’s alarmism and their playing fast and loose with the facts has caused a great deal of damage to their credibility and effectiveness. His views on global warming aka climate change are close to my own so I will quote him at length. Before we go any further, let’s get something out of the way. At the most basic level, climate scientists have a very solid grasp on a relatively simple set of facts: certain gases, carbon dioxide among them, “trap” the sun’s heat in our atmosphere, much like a greenhouse’s glass. Humans have been emitting these gases at very high rates of late, and that’s a problem, because it will lead to a warmer climate and a variety of new challenges to which life on earth will have to adapt, ourselves included. The devil is, as usual, in the details. Our climate models weren’t able to predict the recent plateau in warming over the past decade or so, a reflection of our incomplete understanding of the “fiddly bits” of Earth’s climate. The central problem here is the enormous complexity of the system we’re dealing with. Our planet is filled with many different feedback loops and relationships, some of which we understand, but many of which we remain ignorant of. Because of that, any prediction of what might happen when we ramp up one variable like carbon dioxide is going to have a significant margin of error. But the green movement has made a habit—and for some a living—of exaggerating the dangers of climate change to justify unworkable policies. In the past this probably produced some short-term payoff in terms of public support, but over time it has weakened the credibility of not just the environmental movement but the scientific understanding that these greens claim to be advancing. This recent Gallup poll reflects a damning fact for today’s greens: Climate alarmism tops “big oil” money as the leading cause of climate skepticism. A great deal of my own skepticism regarding global warming is due to the fact that actions of the people most involved in promoting the idea are not the actions of honest people who have the facts on their side. If the facts were on their side, they would feel little need to slander their opponents by referring to the as “deniers” or implying that they are all funded by Big Oil. They would not corrupt the peer review process by attempting to censor any paper that opposes their received wisdom nor would they exchange e-mails discussing the best “tricks” to “hide the decline“. They would not call for jailing people who disagree with them. They would admit that current models have done a poor job of predicting changes in climate and work to create better models instead of dismissing and contrary facts as disinformation and insisting that the science is settled. There are many who would consider the results of the Gallup poll that Mead refers to as an indication of the ignorance of the American people, especially those who live in flyover country. I think that it shows that the bitter clingers are smart enough to know a con when they see it. Ivan Frishberg sent me another e-mail asking me to call out the climate change deniers in Congress. Today, all across the country, people are telling members of Congress that it’s not OK to deny the science behind climate change. There are 135 climate change deniers in Congress — elected officials who refuse to believe that climate change is real, manmade, and dangerous. Today, we want everyone pointing and laughing at these folks. It’s easy to join in. Can you help by sharing something on Twitter or Facebook? Tweet at Speaker John Boehner, the lead climate denier in Congress — and call out the climate denial. It only takes a second — but if we do our jobs, it’ll be fun to watch these climate change deniers try to explain themselves. It seems to me that an important part of science is observation. For instance, I have observed that the high temperature on the day I write this is about 75°. This is unusually cool for Indiana in the middle of August. I am aware, of course, that one unusually cool summer does not disprove the theory of global warming, but then, if we were having an unusually hot summer, the climate change alarmists would be taking that as proof that the Earth was getting dangerously warmer. I wonder why we are having such a cool summer. I am a little concerned. I believe I’ve said before that I would be a lot more worried if there were a worldwide cooling trend than a warming. It really wouldn’t take much of a decrease in global average temperature to affect agriculture adversely. Of course, this is only one year and I am sure next year will be more normal. In the meantime, I will enjoy the pleasant weather. In Homage To Their Fictional Beliefs, Group Presents Silver Unicorn Awards To Climate Deniers (thinkprogress.org)Whose fictional beliefs exactly, the people who think catastrophe is just around the corner? Al Gore is still at it. You might think he would be just a little ashamed to be continuing to spread the gospel of global warming considering that he sold his network CurrentTV to Al Jazeera which is backed by the decidedly ungreen Kingdom of Qatar, not to mention that there has been, in fact, no warmer for the past several years, as even the New York Times is forced to admit. 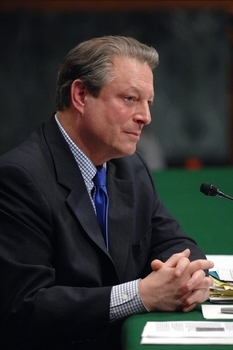 Recently, Gore compared the fight against global warming to World War II. I found this article in PJMedia entertaining. n and not just accept the price that it extracts from us,” Gore said. Pollution can be defined as “The contamination of air, water, or soil by substances that are harmful to living organisms.” Carbon dioxide in a naturally occurring substance in the Earth’s atmosphere and is necessary for life on Earth. Carbon dioxide, therefore, cannot be considered pollution. It makes just as much sense to complain of oxygen pollution. would be too hot for comfort. Still, the amount of carbon dioxide and the Earth’s temperature has varied somewhat over the ages without catastrophic results. 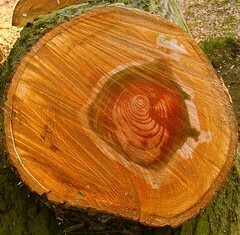 There have been long eras with higher temperatures than present in which life has flourished. I am pleased to see that Al Gore admits that Franklin Roosevelt’s New Deal did not end the Great Depression. Roosevelt did not really know what he was doing and it is likely that his policies made matters worse. To be fair, no one knew what to do about the depression and the different varieties of socialism that were fashionable at the time helped to make the 1930s a lost decade in terms of world economic growth. Roosevelt was also worried about his chance of re-election as 1936 approached and tried to out-demogoguethe socialist populists like Huey Long and Father Coughlin. This did not help inspire economic confidence. By 1940, Roosevelt had begun to see that his antagonistic attitude toward business was making an economic recovery almost impossible. Since World War II had begun and it was obvious that America would eventually enter the war, he eased back on many New Deal policies. The war did stimulate the American economy, but it doesn’t say much for Roosevelt’s policies that something as destructive and inefficient as war did a better job at promoting economic growth. In general, war is a terrible and wasteful way to stimulate a nation’s economy. Resources get used to make weapons, ships, tanks, or planes which are blown up or end up at the bottom of the ocean. Economic efficiency must make way for military necessity. People get killed. Aside from the horror of many deaths, there is also the loss of the talent and skills those killed in war could better have used in peacetime. If Al Gore is proposing that we undertake a massive, national effort to waste and squander resources on green energy that could better be deployed more efficiently, as the market decides, than he is simply a fool and a fraud. He really needs to stop selling the snake oil. Al Gore backlash: Why environmentalists are celebrating rising CO2 (12160info.lefora.com) A world with more CO2 might be a more fertile world. CO2 is good for plants, you know. I don’t know if anyone else has noticed it yet, but it seems to me that the weather has been getting colder for the last month or so. I think we may be in for another ice age, no doubt caused by CO2 emissions or something. We have to put together a world-wide treaty protocol that will destroy the world’s economy in order to prevent this coming climate catastrophe. I have also noticed that the days seem to be shorter lately. I wonder if maybe the sun is going out.